"Firstly, we would like to say a massive thank you for the fastest sale in the history of time! We would also like to thank you for all your help through this rollercoaster of a ride we have had buying our new family home. I bet some of the time you felt more like a counsellor than an estate agent! We got there in the end and will highly recommend Quealys to anyone." "I'd just like to say a big thank you for all at Quealys both in the sales and rental department. It was Stuart who made the first impression when renting the property a few years ago but as time went on I realised that Quealy's is just an efficient and seemingly happy company. Everyone I dealt with was delightful. Annabel, Michael and Olivia I particularly remember being charming and helpful on all occasions. I think one of the companies' strengths is that you all pick up the phone to communicate which is increasingly not the norm." "Thank you all so much for the parts you each played in achieving a successful sale of our house, and for doing so promptly and for securing the full asking price. Your success on our behalf has enabled us to realise our ambition of moving to the Kent Coast to enjoy the best that this fine country has to offer." "I would like to take this opportunity to thank Andy for all the advice during and after the sale of our house and providing us with a great mortgage. Also I would like to say a huge thank you to Olivia who was an absolute dream to view houses with, if all estate agents were like her they would have a much better reputation." "My house has been successfully sold with thanks mainly to Annabelle Fairchild, who was very professional. She was a real friend and helped me when i needed it. I would not hesitate to recommend Quealy &co. Once again many thanks Annabelle." "Once again we cannot thank you enough for everything that you have done for us, we value your professionalism and would highly recommend your services." "We just wanted to let you know how pleased we are with the service you have provided regarding the properties in Bobbing hill. We have dealt with several different local estate agents over the past six months but your professionalism has really stood out from the rest. You were approachable and friendly and your knowledge and experience was evident and reassuring. We look forward to continuing to work with you as our purchase continues." "I have to say that dealing with your company has been a breath of fresh air compared to some other agents we have had dealings with! You have been most helpful and efficient, for which we are grateful." "My wife and I have recently purchased two properties through your agency. In a time when it is all so easy to criticize and complain, I thought I would just drop you a line to say how professional Robert Tucker and Caroline Webb were throughout the transaction. 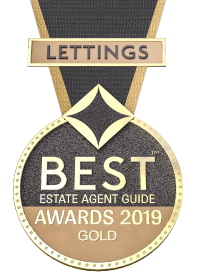 In all my dealings with them for the purchase and subsequent lettings, they provided the highest standard of customer service and knowledge and I would be grateful if you could pass on my thanks to them.I will have no hesitation in recommending your Agency and using your team again in the future."